Cashco payday loans is expanding our network to offer payday loans, flex term loans, auto loans and settlement loan in more branches in more Canadian cities than ever before. The newest Cashco Financial loan branches have just opened in Price Albert Saskatchewan, Saskatoon Saskatchewan and Kamloops British Columbia. Our friendly Branch Managers and Loan Associates are ready to help you with whatever you may need. 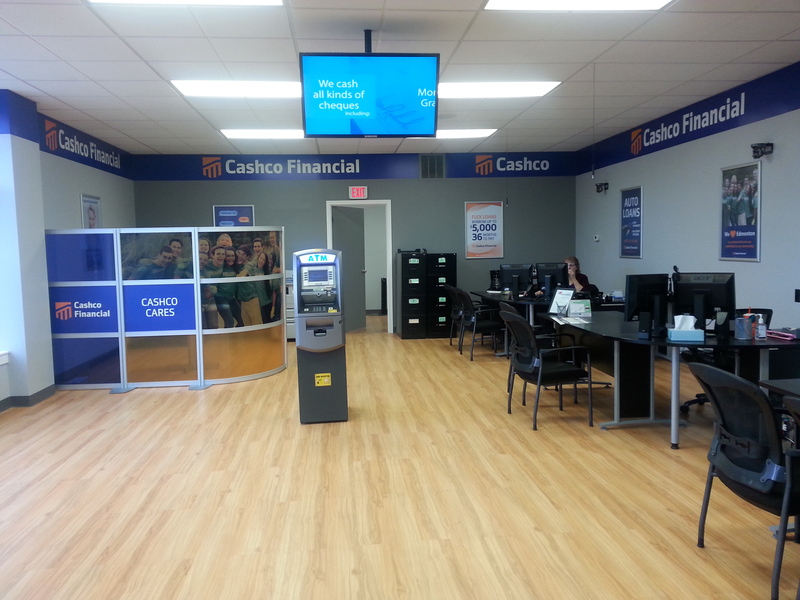 Visit our locations page https://cashcofinancial.com/store-locations/ to find the hours of operation and the available products at the branch closest to you. Come on by and say hello. Expansion is an exciting time for an organization and we are very excited to be able to offer Cashco Financial loans and banking services to more and more Canadians who need our help. Sometimes when a company opens more locations, like with a popular restaurant chain, the quality can diminish. At Cashco, we are committed to providing best in class customer service in each of our stores, that’s why unlike competitors, each of our branch managers goes through a two week training process directly at the Cashco head office in Edmonton, Alberta. By doing this loans and services training at head office, we at Cashco are able to ensure that every single one of our clients get the same amazing customer service no matter if they are in Cambridge Ontario or Prince George, British Columbia. In Canada, provincial governments regulate the payday loans and term loans industry.. That means that different provinces will have different loan interest rates. Cashco Financial abides by all government rules and regulations, and we try to limit any fees that we can to lower the cost of borrowing for our clients across Canada. This summer, Cashco is introducing several amazing products to rebuild credit fast, save money better and even get never before seen low interest rates on payday loans and flex term loans. Our new options will be exclusive to our clients, but you don’t have to worry about qualifying because we are here to serve all Canadians and anyone can become a Cashco client. As Cash Canada, we helped Canadians for over 20 years, and today as Cashco, we are still certified to Say YES! Need a car, but a low credit score is holding you back? Luckily, Cashco Auto is making auto loans fast, easy and affordable. Our auto loans have gotten a full Cashco makeover as well and we think you’re going to love them. See how easy it is to get into your dream car. Click Here to Apply for Auto Loans! If there’s a Cashco branch in your town, visit our 16,000 Hour Project page to submit a cause that we can help with. Our employees are energetic and passionate about making a positive difference for Canadians and we love getting suggestions on how we can help next.